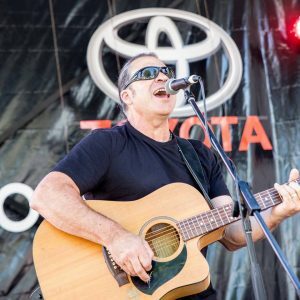 Here are some of my upcoming Shows & Performances, as well as some of my favorite Shows, ‘done & dusted’. 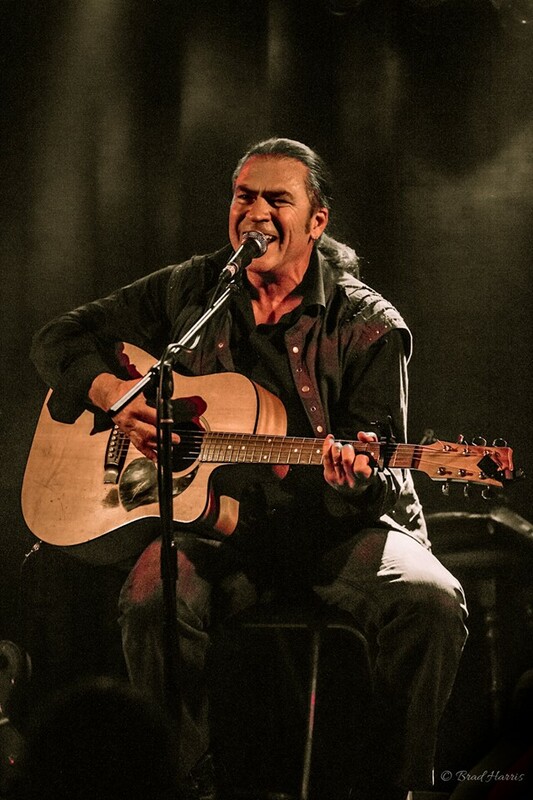 I have some great shows & performances lined up, and would love to see you there! 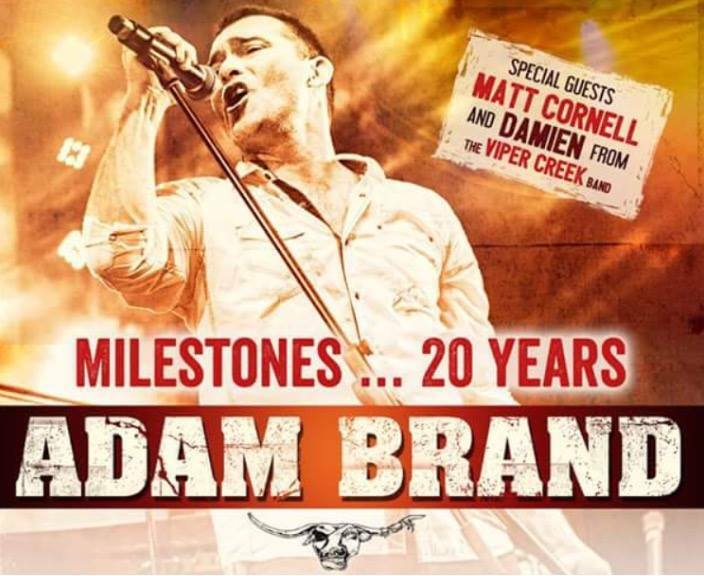 All the information you need can be found by clicking on the dates below. I love performing close to home, and the Go For Gold, Chinese Easter Festival doesn’t get any closer. I’ll be performing twice a day along side my friends, Brendan Nawrocki, Tony Kennelly, Logan Hoswell, with traditional Chinese music by David Wei & Eva Timmers and Entertainment by Gomeroi Dance Company & Australian Yau Kung Mun Association. 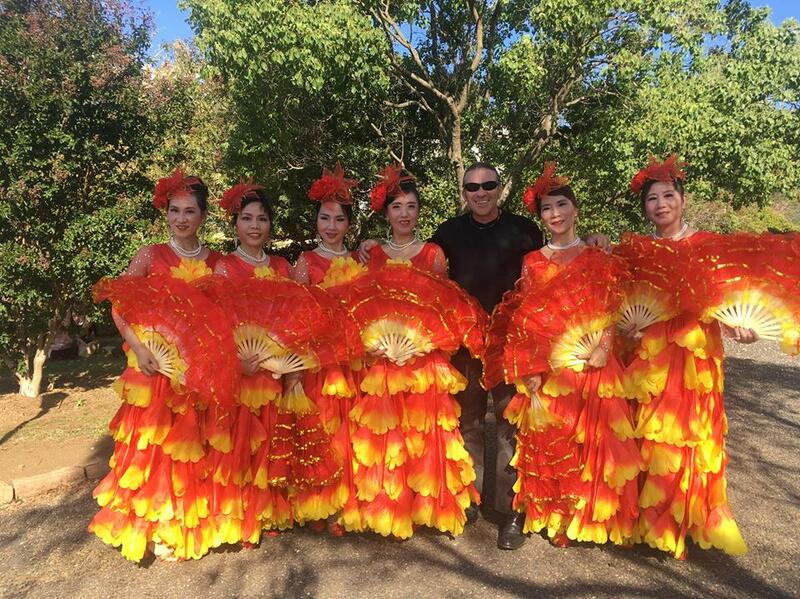 12 noon Chinese entertainment by the Australian Yau Kung Mun Association. 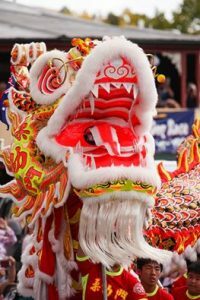 Seek good fortune by placing money in the lucky red envelopes provided and feeding them to the dancing lion. 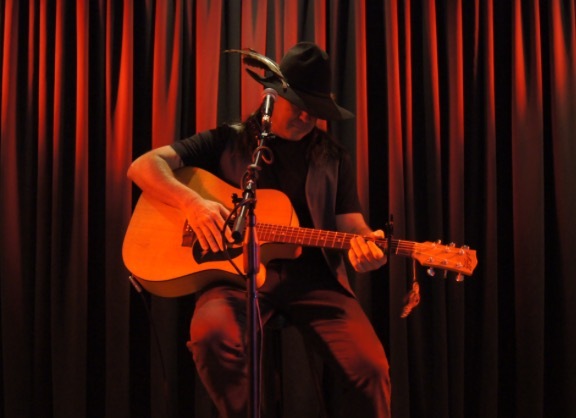 2.30-3.00 Chinese entertainment by the Australian Yau Kung Mun Association. Seek good fortune by placing money in the lucky red envelopes provided and feeding them to the dancing lion. 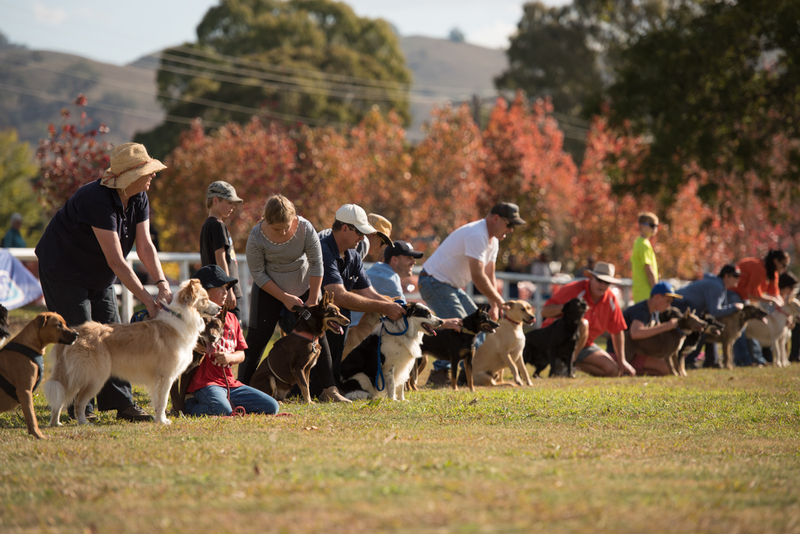 Experience a unique event while enjoying a day out in the country at the Great Nundle Dog Race. 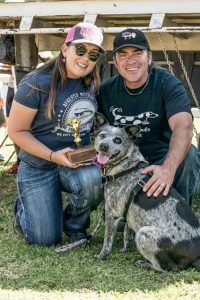 The Great Nundle Dog Race is on Sunday 5th May 2019 and I’m happy to be on the mic as MC for this very special and unique event, fundraising for Nundle Public School. 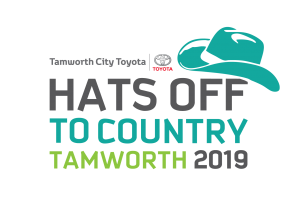 Tamworth celebrates Country Music in Hats Off To Country Festival, it’s the cuddly festival, and I will be once again hosting the 2019 Singer Songwriter’s Retreat @ The DAG Sheep Station, Nundle. 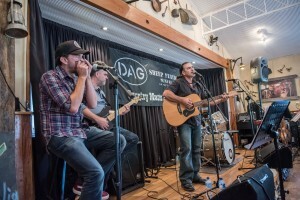 The DAG Sheep Station will feature 3 Shows including an amzing line up artists: Shane Nicholson, Luke O’Shea, Kevin Bennett, Felicity Urquhart, Jeremy Edwards, Jen Mize + artists from the 2019 Songwriters Retreat with special guests Brad Butcher, Jeff Gibson and performances by John Krsulja, Richo Richardson & Brendan Nawrocki. 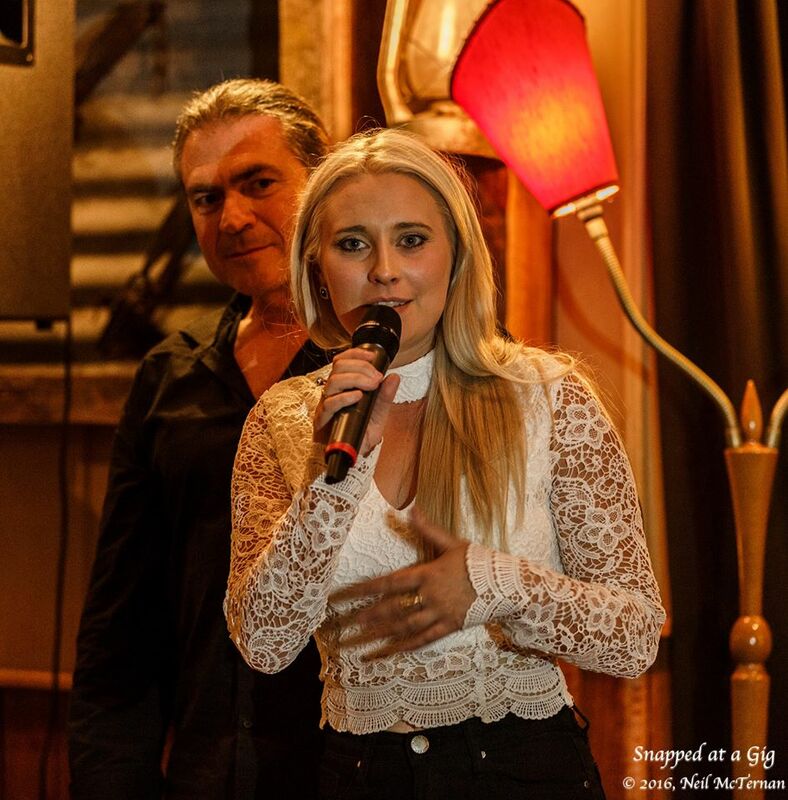 It was certainly a treat to open for the very talented Nundle local, Natasha Soonchild and her performance of “Shootin’ Sadie”. 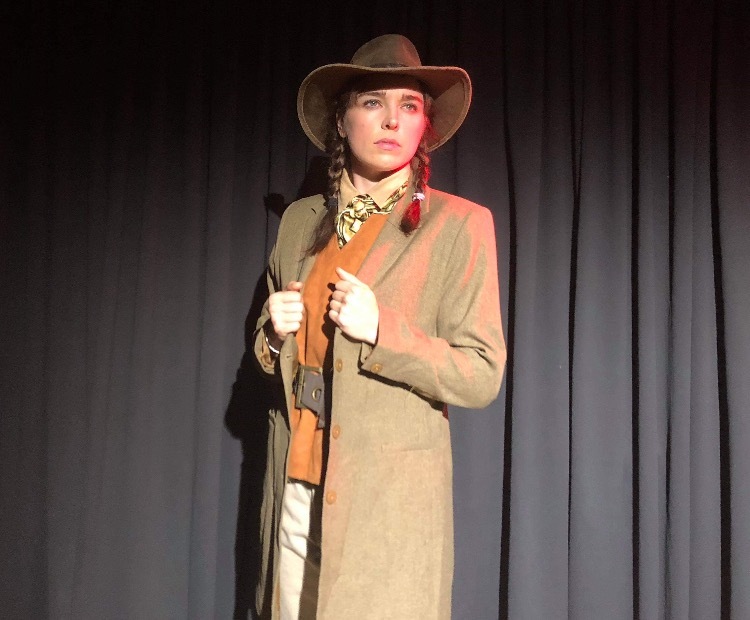 I even added a touch of drama to my own performance which was received very well. 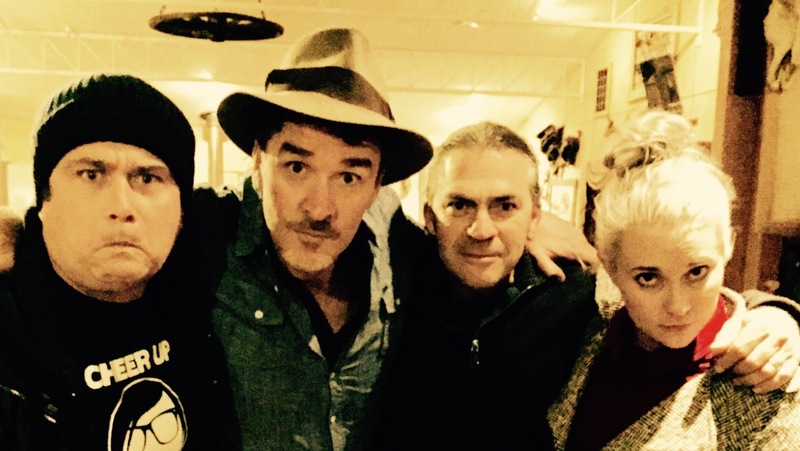 proposal from Hanging Rock to Crawney. 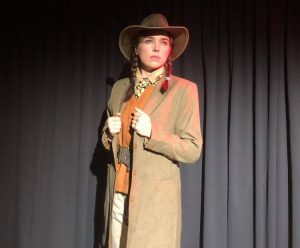 A Charles Stuart University Communications graduate, Natasha wrote Shootin’ Sadie conjuring the genre she always wanted to perform. 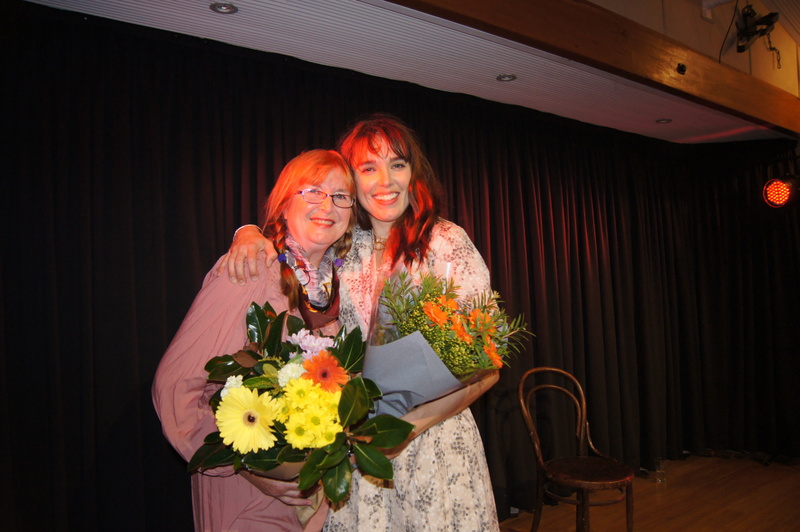 She is joined by director Gwenda Hague, who is also her mum. 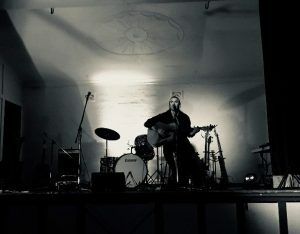 The Flood are coming to The Tamworth Hotel playing tracks from there forthcoming Album and old favs from other Albums. 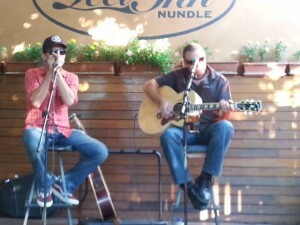 I’m happy to be a local opener for my mate Kevin Bennett & The Flood. 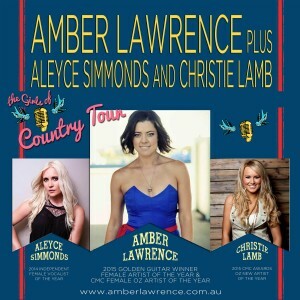 When Australian country music fans talk of the festival “biggies”, the Mildura Country Music Festival rates a mention alongside the Tamworth Country Music Festival and the Gympie Muster as one of the big three. 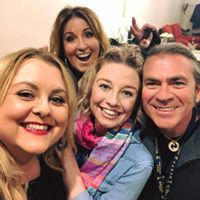 The major difference between the other two and the annual Mildura Country Music Festival is that Mildura has Australia’s biggest showcase of Independent entertainers. What that means is a seemingly unending cast of highly talented professional country music artists who aren’t signed to major record label deals. 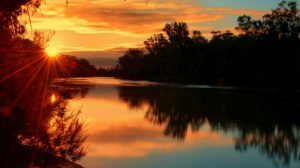 The Independent factor gives Mildura a very different complexion, and it’s a successful formula that has worked admirably over the past thirty years. 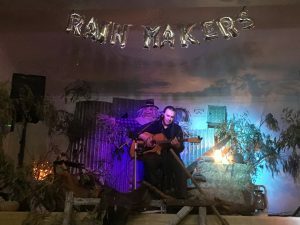 In 2018, more than 50 individual artists and groups will entertain over the 10-day period to celebrate the festival’s 32nd year, and the roster comprises many award winners. 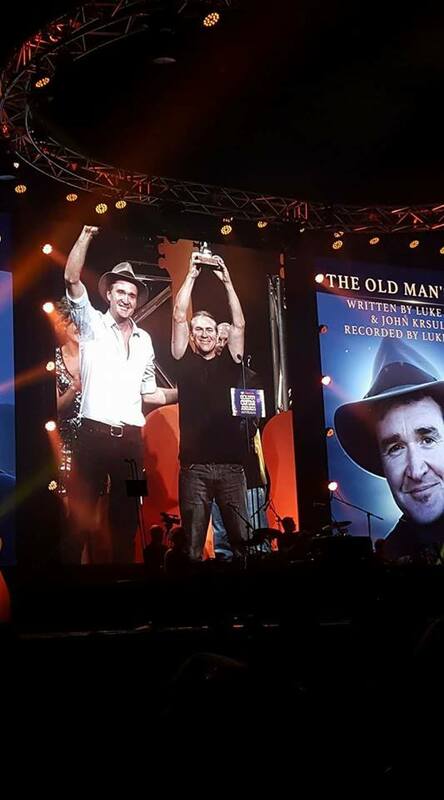 But then, when you consider that the Independent artists make up probably 95 percent of performers in the country music industry, and the calibre and achievements of the artists is well documented, it strikes home that there is a huge well of talent out there. 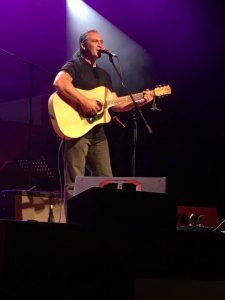 A large proportion of the artists performing at Mildura in the past have highly successful recording and touring careers and big fan bases throughout Australia. 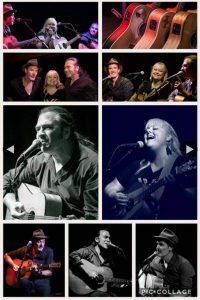 With names like Johanna Hemara, Rodney Vincent, Kiara Rodrigues, Reg Poole, Tom Maxwell, Owen Blundell, Terry Gordon, Justin Standley, Aleyce Simmonds and Allan Caswell, you can gather a truckload of chart hits, popular albums, and recording and songwriting awards. What Mildura has steadily developed is something that draws thousands of fans on an annual pilgrimage that would make many non-music lovers scratch their heads in bewilderment. 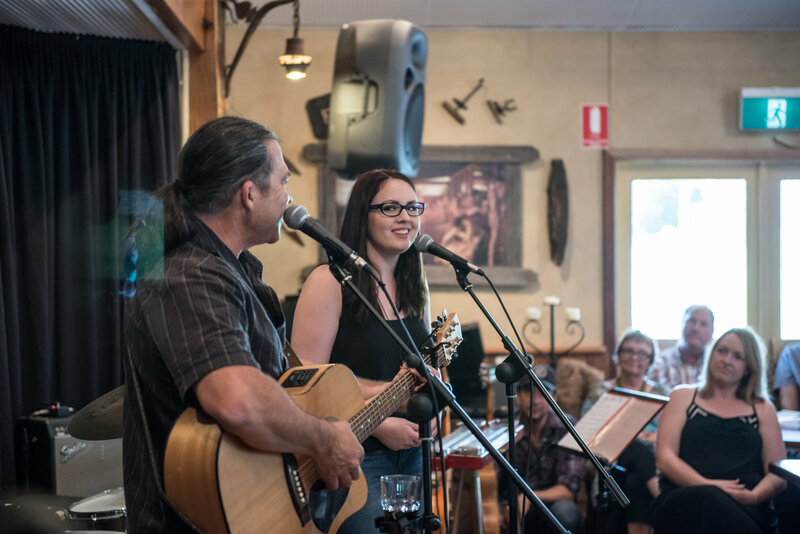 Often driving thousands of kilometres, the fans converge on this beautiful destination on the banks of the legendary Murray River for ten days of virtually non-stop country music, and the Mildura Festival has steadily built is own culture through the years. It’s become the Mecca for the “empty-nesters” – the mature age couples whose kids have flown the coop, the ones who have the time to set out for two or three weeks holiday, and most importantly, those who have a deep love of the music. The wonderful part about Mildura in September is that not only is it country music heaven, it’s also a great holiday destination. The fans love the freedom of Mildura, and the value-added factor. 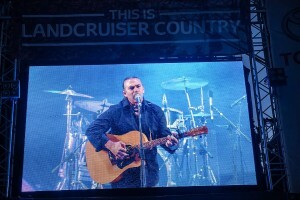 For a start, virtually all the musical entertainment is free, and the majority of the shows are multi-artist concerts. 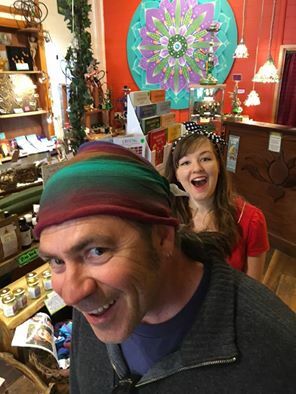 If you were paying, the value is certainly there, but in this free environment, everything’s a bonus. The venues, 25 in all, spread from the City Mall providing all-day entertainment at central city venues in Mildura to outlying locations like Wentworth, Merbein, Red Cliffs, Coomealla, Buronga and Gol Gol. 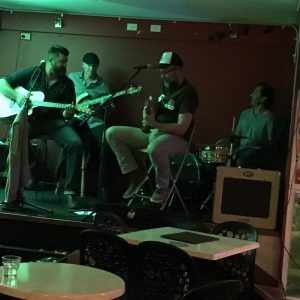 Every taste is catered for with Line Dancing, Country Rock, Bluegrass, Bush Ballads and daily Walk Ups for those not on the program. 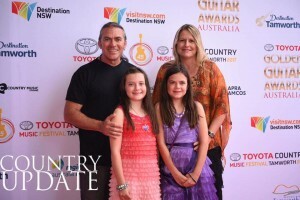 The jewel in the crown for the past twenty one years has been the live concert and radio presentation of the Southern Stars – The Australian Independent Country Music Awards, that recognise the achievements of the Independent recording artists during the past year, and this year’s entries are sure to again endorse the status of the event. Many previous finalist and winners like Felicity Urquhart, Darren Coggan, Travis Sinclair, Drew McAlister and Carter & Carter have also won Golden Guitars,with some notable successes like Allan Caswell, Brendon Walmsley, James Blundell, Luke O’Shea and Dianna Corcoran being multiple Golden Guitars winners. 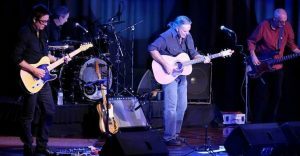 The culture of Mildura has built up on a real family factor, and that applies equally to the artists as well as the fans. 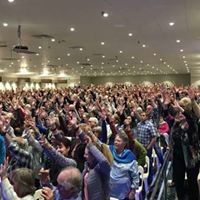 There is a noticeable lack of urgency and panic during the festival, because if you miss a planned event on one day, you can usually catch up later in the week. 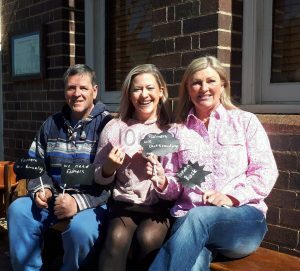 The excitement factor is still there, but there’s an element of control built in – and that’s why the enjoyment factor is just as evident on day ten as the start. 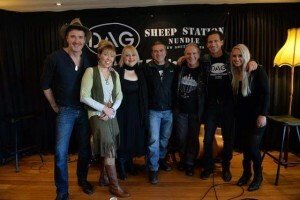 And the reason the artists enjoy it so much is that it’s ten days of music, friendship and fun. 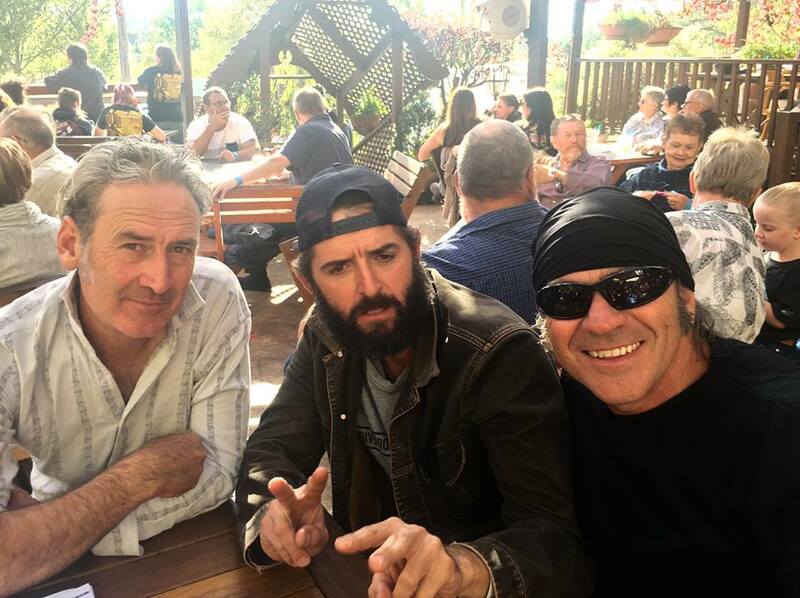 Mildura is really a level playing field – no star billing, no support act tag, and certainly no room for egos. For the fans it looks easy, but the organisation of an event the size and duration of the Mildura Festival encompasses a full 12 months of planning, and an awesome array of tasks from booking, accommodating and placing the artists, arranging venue rosters, working with a multitude of local suppliers and with strong support from sponsors, traders, Mildura Rural City Council, Wentworth Shire Council, State Government and Visit Victoria. 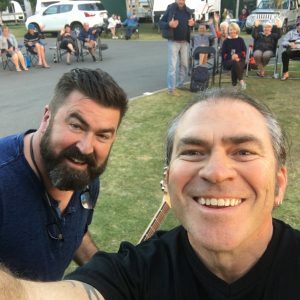 Underpinning the festival is Festival Radio 91.5 FM which broadcasts a 24 hours per day country music format during the Mildura festival, focussing on the music of artists appearing at the Festival. So why do they (the organisers) drive themselves into the ground each year to make the Mildura Festival such a successful music and tourism event? Simple – they do it for the love of the music, they do it for the Independent Country Music artists, they do it for Mildura, and they do it for the fans. It’s a terrific combination that has created one of Australia’s most unique musical events. 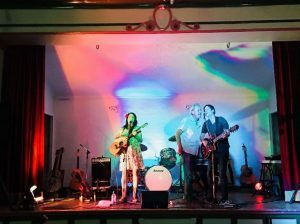 The 32nd Mildura County Music Festival runs from Friday, September 28th to Sunday, October 7th, 2018. Further information can be obtained from 1800 039 043. 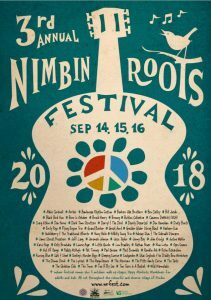 The 3rd annual Nimbin Roots Festival is underway! 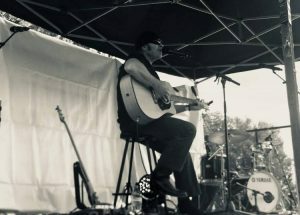 If you like real music, living outside the spqare and don’t fancy being amongst ten’s of thousand’s of screeming people all fenced in one area with a tiny little spec of a stage in the distance, then this festival is for you! 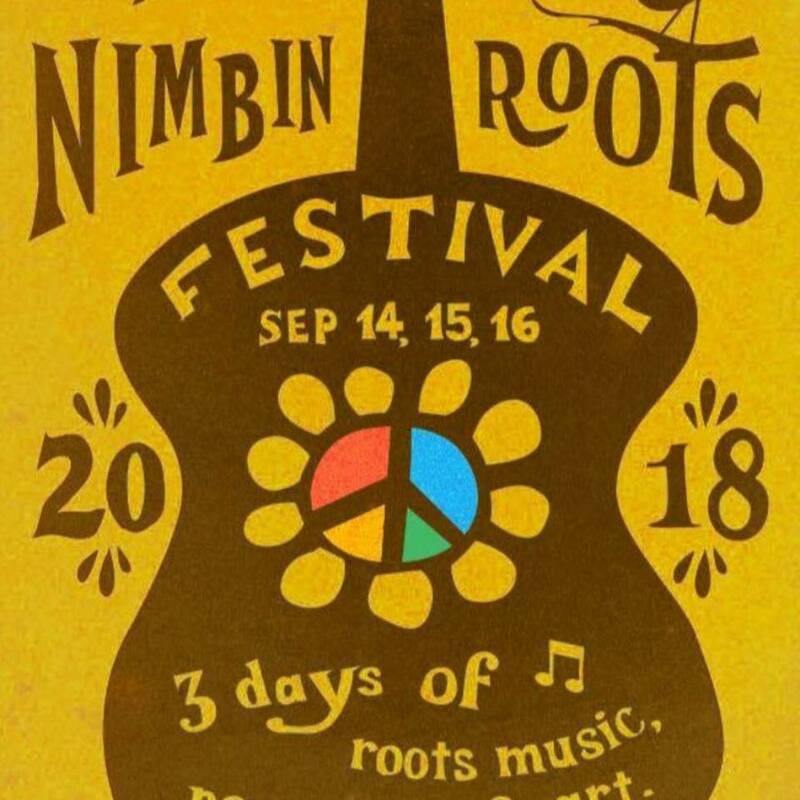 Three days of non stop roots music from Australia and abroad spread throughout the colourful village of Nimbin, Australia’s counter culture capital. 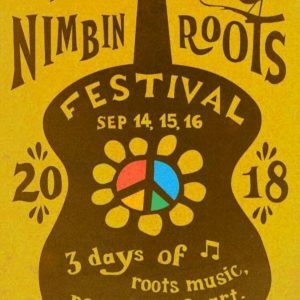 During the festival, we host the anual Australian Roots Music Awards on the Sunday night, as well as the Peace March on the main street of Nimbin on the Saturday..
Our event is very family friendly and camping is just $10 per person per night at the showground which is walking distance to all festival venues. 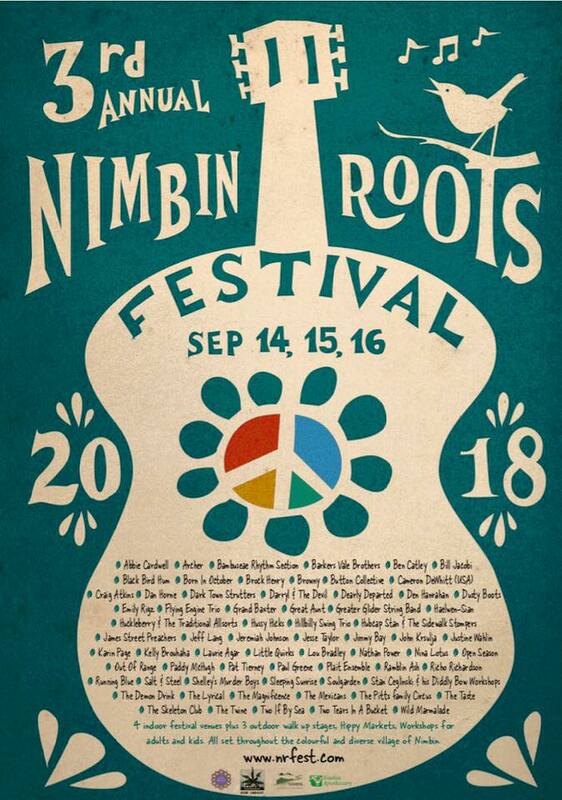 We also will be providing an airport shuttle bus from and too Byron/Ballina airport throughout the festival that will coincide with all jetstar flights. 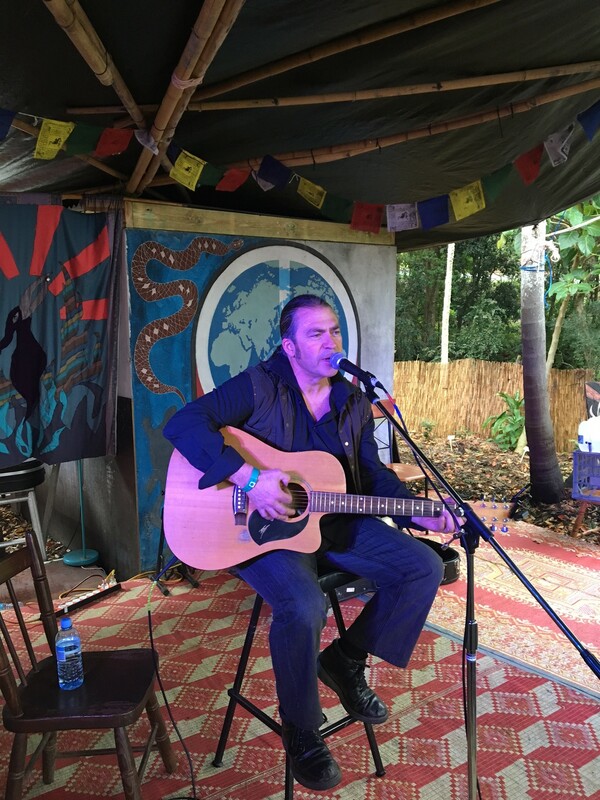 We also provide a shuttle bus daily to and from Byron Bay, should you wish to stay there. 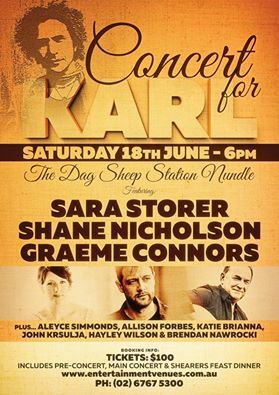 It was great to be a part of this amazing line up of artists & friends, both local and national, raising awareness and funds for our farmers. 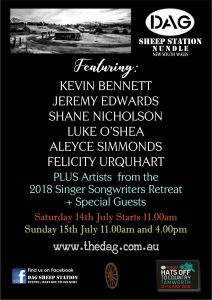 There will be 3 Songwriters Showcases at The DAG during hat’s Off and featuring Shane Nicholson, Luke O’Shea, Kevin Bennett, Felicity Urquhart, Aleyce Simmonds, Jeremy Edwards & Brad Butcher. 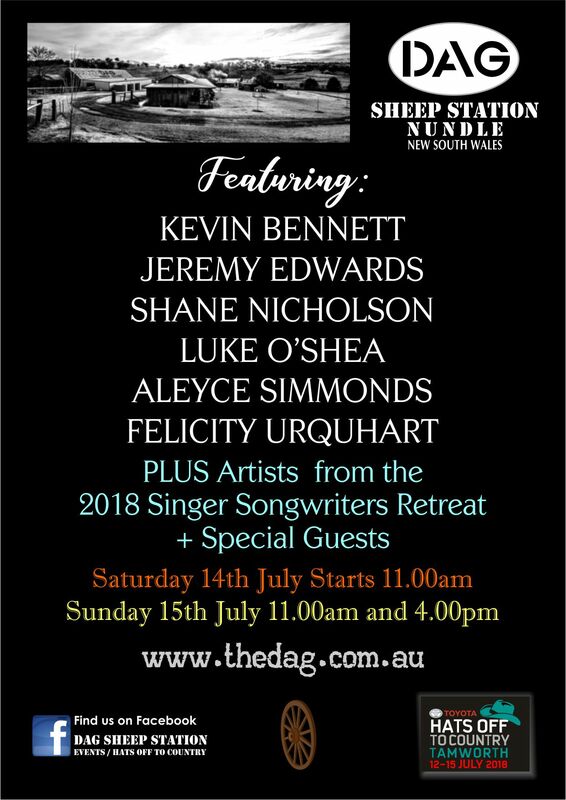 Sat & Sun from 11am and Sunday from 4pm, a special Showcase featuring all artists from the 2018 Songwriters Retreat and their tutors + Special guests John K Krsulja, Jeff Gibson & Brendan Nawrocki. 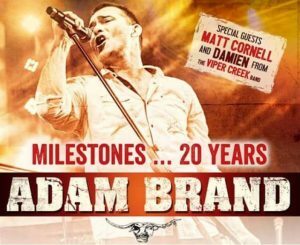 Adam Brand hit Nundle’s Peel Inn as part of his Milestones tour, celebrating 20 years. 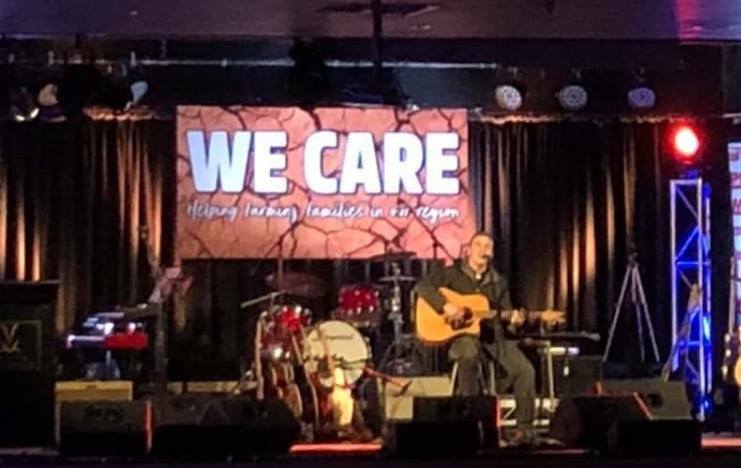 It was a great set for me and good opportunity to open for Adam, who was joined by special guests, Matt Cornell & Damien Baguley from Viper Creek Band. 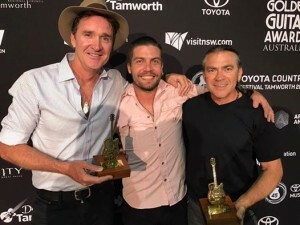 Had a great time at the Go For Gold Easter Festival, it’s the second biggest festival in the North West, Tamworth Country Music Festival is the biggest. Played along side of many friends including Jeff Gibson, Brendan Nawrocki, Dylan Hartas & The Blues Martyrs and my highlight playing with Rachael & Matt from Born In October, at the EP launch of ‘Running in Bare Feet’ in the Nundle Memorial Hall. 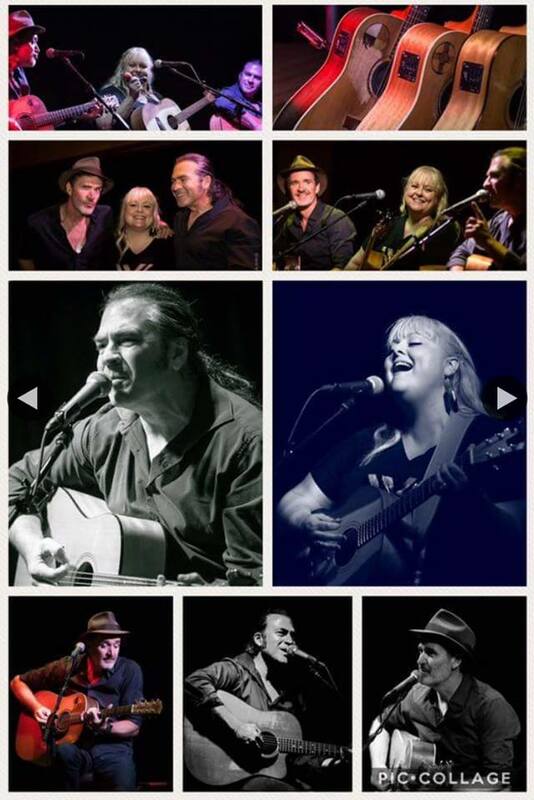 Had a great time playing with old friends Luke O’Shea & Lyn Bowtell at Wenty Leagues Club. 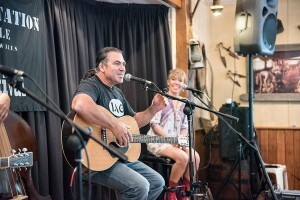 Songs and stories were shared along with plenty of laughs. 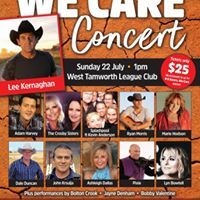 I’m looking forward to catching up with friends old and new at the 2018 Tamworth Country Music Festival. I’ll be a part of some very special Showcases at The DAG Sheep Station, as well as some spots around the city of Tamworth. 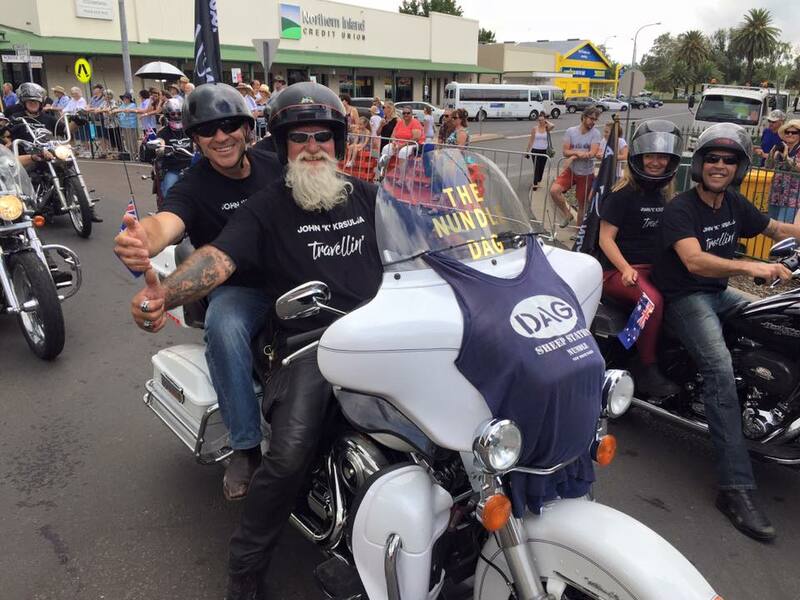 Drop by and say G’day, it will be great to see some familiar faces during the Festival. 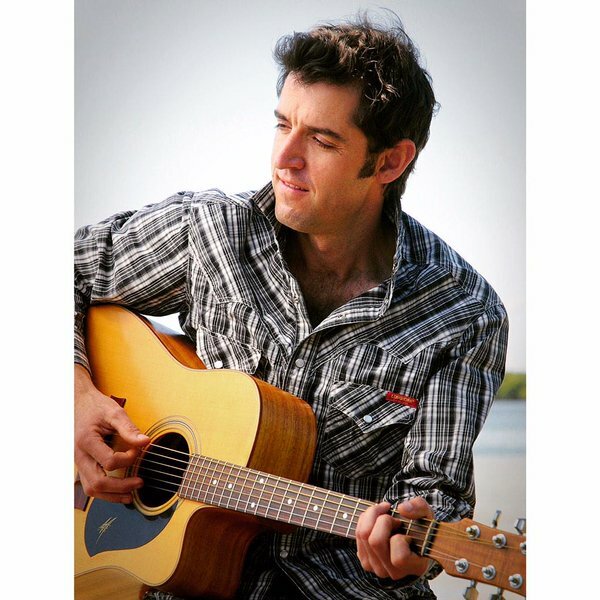 I’m looking forward to hanging out with Chris Matthews and bringing some of his tunes from The Kimberley’s West Australia. 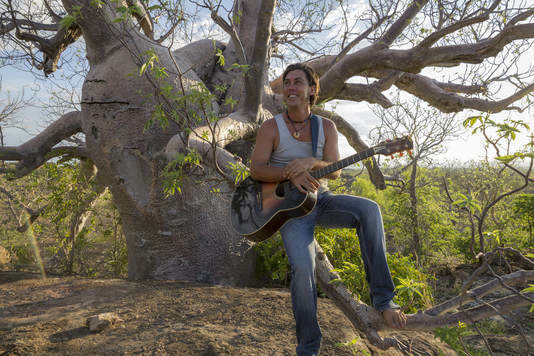 Chris spends most of the tourist season entertaining the thousands of visitors to The Kimberley’s at El Questro, after that he travels Australia and the world taking his music to the mob. Nundle will love to see Chris Matthews at the historic Peel Inn. 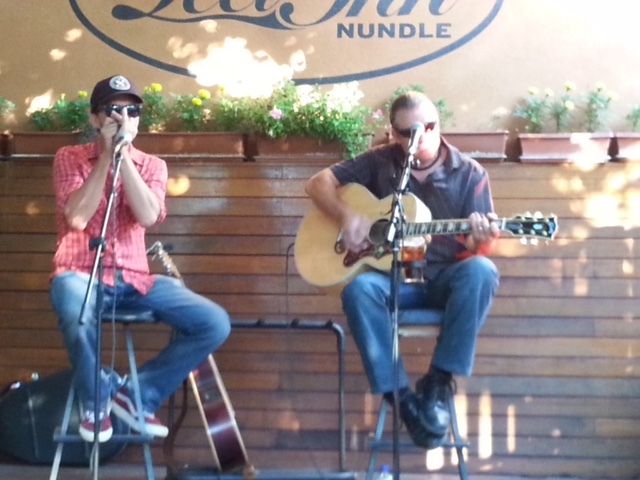 This will be a Sunday arvo session, starting at 4pm till 7pm, hope to see some familiar faces there. 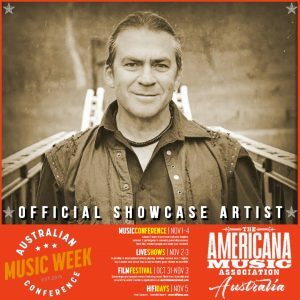 I’m looking forward to opening for Chris Jagger, the brother of Rock Royalty, Mick Jagger at The Brass Monkey, Cronulla as a part of the 2017 Australian Music Week..
I’m looking forward to being a part of the 2017 Australian Music Week, held in Cronulla. 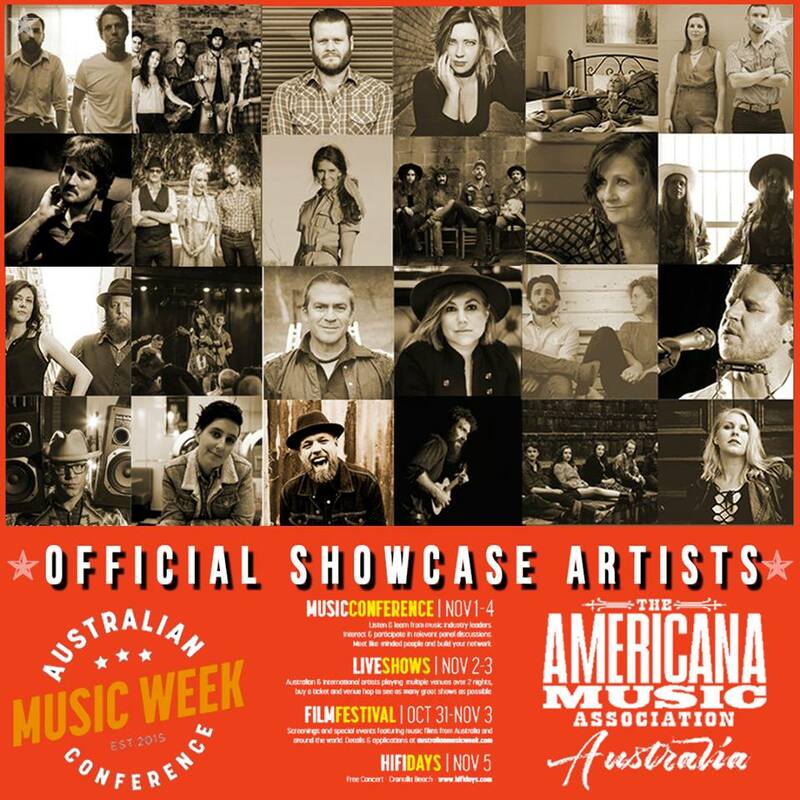 I’ll be there on Thursday 2nd November, as part of Australian Americana Music Association Showcase, along with some great Australian Americana artists. 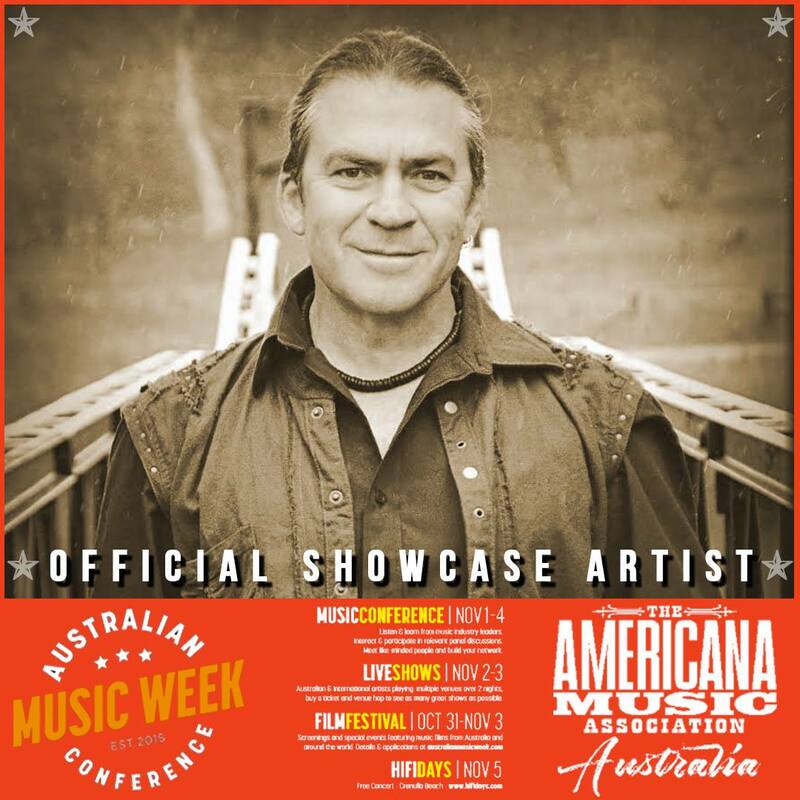 I’m looking forward to being a part of the 2017 Mildura Country Music Festival. 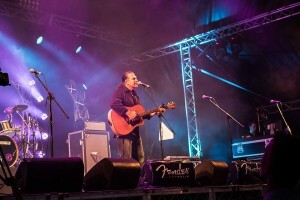 I’ll be there on Friday 29th, Saturday 30th, Sunday 1st & Monday 2nd October. 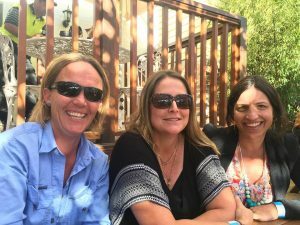 The Independent factor gives Mildura a very different complexion, and it’s a successful formula that has worked admirably over the past thirty years. In 2017, more than 70 individual artists and groups will entertain over the 10-day period to celebrate the festival’s 31st year, and the roster comprises many award winners. 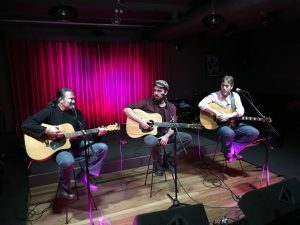 But then, when you consider that the Independent artists make up probably 95 percent of performers in the country music industry, and the calibre and achievements of the artists is well documented, it strikes home that there is a huge well of talent out there. 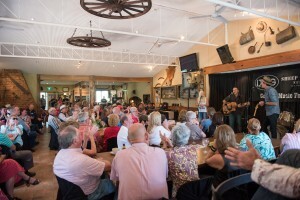 Look forward to hanging out with some new friends at The Rainforest Ranch at Byfield. Look forward to hanging out with my mate, Andrew Thomson at the Tannum Sands Discovery Park, Tannum Sands. Had a great time hanging out with my good mate, Richo Richardson at the Big 4 Frasers Lodge Caravan Park @ Hervey Bay. 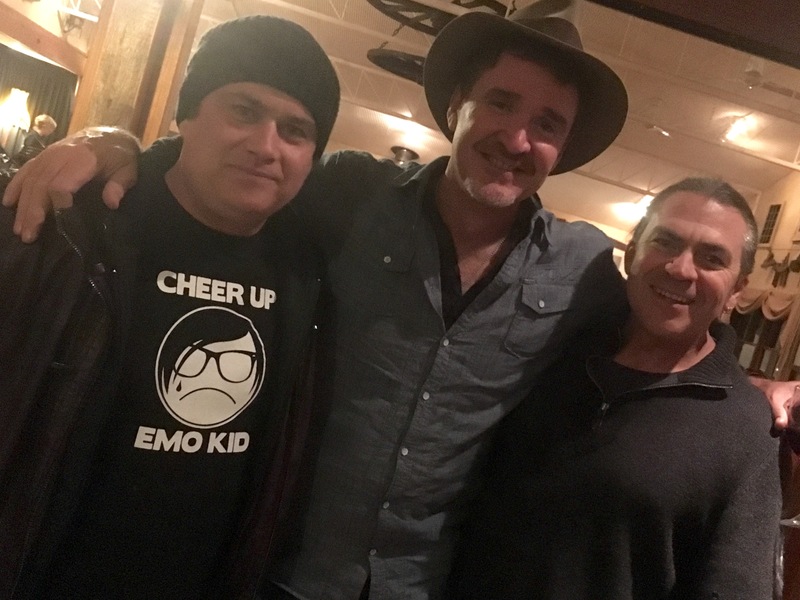 Had a great time hanging out with my good mate, Richo Richardson and his Round Up band, Will, Pat and Max, also joined by Gemma Louise Kirby. 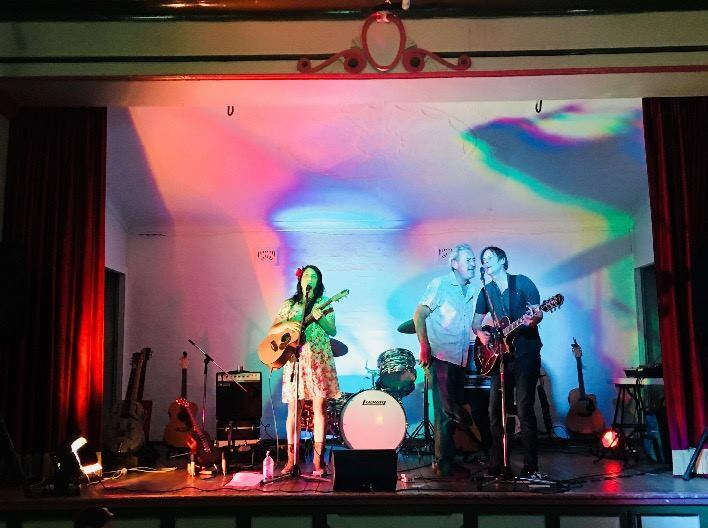 Thursday 20th July @ Finbars Irish Bar, with Jen’s Woodfired Pizza. 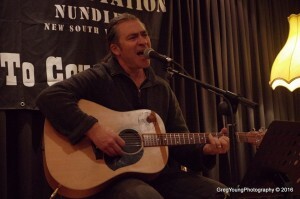 Had a great time as part of the ‘Holler Tree Songwriters Round’ @ The Retro Bar, Kenmore. 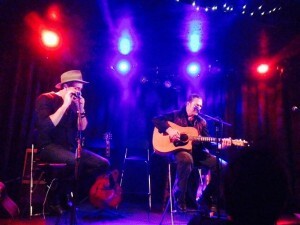 It was my privilege to be join Brendan Radford & Cameron Milford, two magnificent songwriters on Wed 19th July from 7.30 pm. 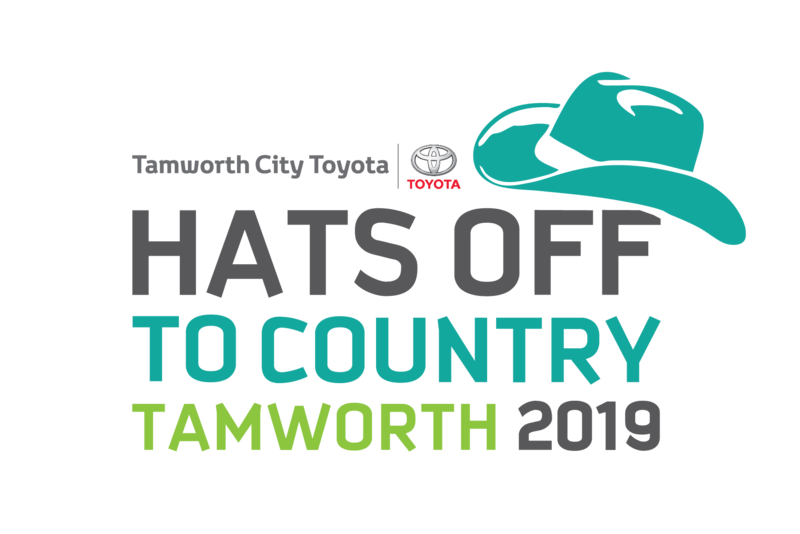 The Hats Off to Country festival was launched in Tamworth, Australia’s Country Music Capital, by the Country Music Association of Australia (CMAA) in 2000. 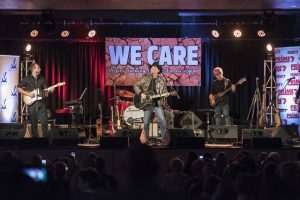 The main event for the first year was a tribute to Australia’s King of Country Music, Slim Dusty, where some five thousand people packed into the Tamworth Regional Entertainment & Conference to be a part of the major tribute. 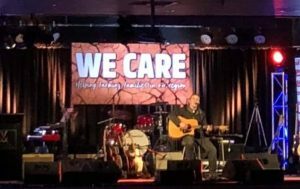 Pubs and clubs across the city, and some within the Tamworth region, joined in by organising events and activities that all contributed to a wonderful country music festive atmosphere. In the following years, Hats Off continued to be a major focus with, first, the CMAA organising annual tribute concerts and more and more local venues joining in to increase the quantity and range of entertainment. We’ll be heading to Percy’s Bar & Kitchen, Orange NSW and playing some tunes from 7pm. 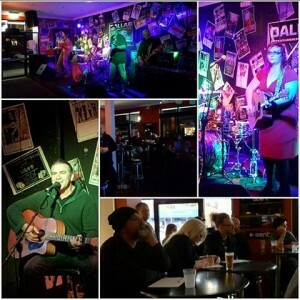 CHECK OUT PERCY’S BAR & KITCHEN AND ALL IT HAS TO OFFER. Sydney circa 1822 – Captain Percy Simpson was convinced by Governor Brisbane to head west with a bunch of ‘educated’ convicts and start producing food for NSW. Percy’s skill in motivating convicts was put to good use, and he commenced his work creating what is now an abundant regional food belt. Fast-forward 193 years and Captain Percy’s legacy lives on in Orange’s newest small bar – Percy’s Bar & Kitchen. Established by two Sydney-siders, Chris and Fraser, who like our Captain Percy made the trip west of the mountains to continue the growing movement in the NSW food and wine scene. Percy’s Bar & Kitchen aims to showcase the best of what the Orange region has to offer, brought together with the talent of local chefs,- an exciting yet approachable menu and a venue with enough quirky twists to keep you coming back for more. Percy’s industrial feel is the work of award winning designers Luchetti Krelle, of Momofuku Seiobo, Chimmichurri, Ananas and SoCal fame. 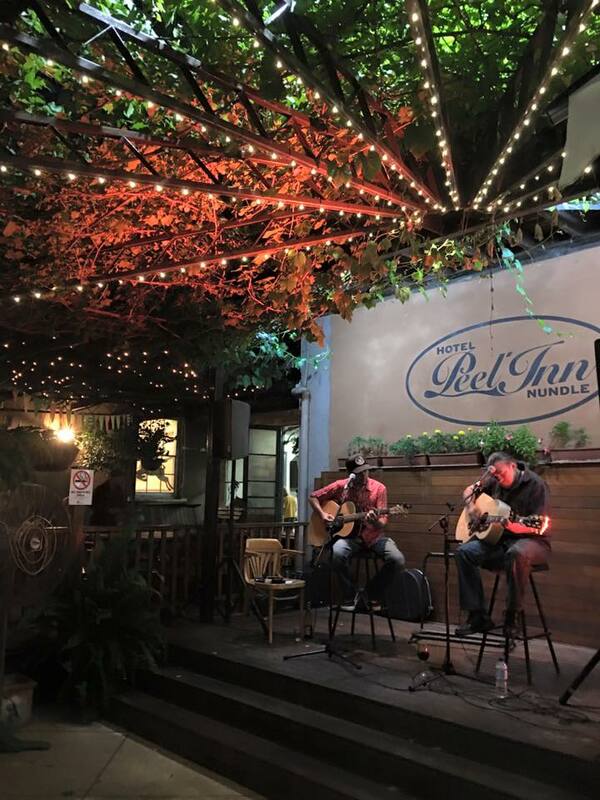 Orange’s newest small bar welcomes locals and visitors alike, and we are certain Percy’s Bar & Kitchen will find a big place right in the heart of Orange. 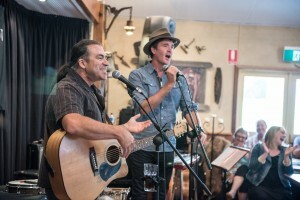 We’ll be heading to Roths Wine Bar, Mudgee NSW and playing some tunes from 7pm. 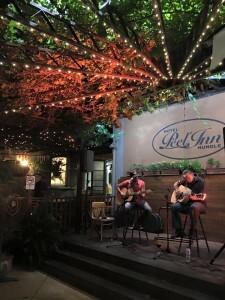 CHECK OUT ROTHS WINE BAR AND ALL IT HAS TO OFFER. 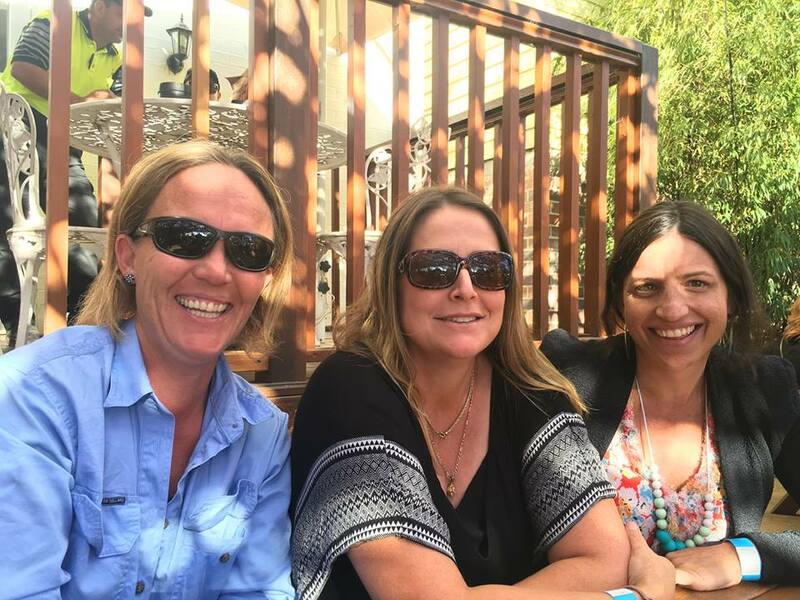 Enjoy our Tapas at the bar or share our Roths 1923 platter with friends in one of the cosy nooks around the fire or outside listening to live entertainment. 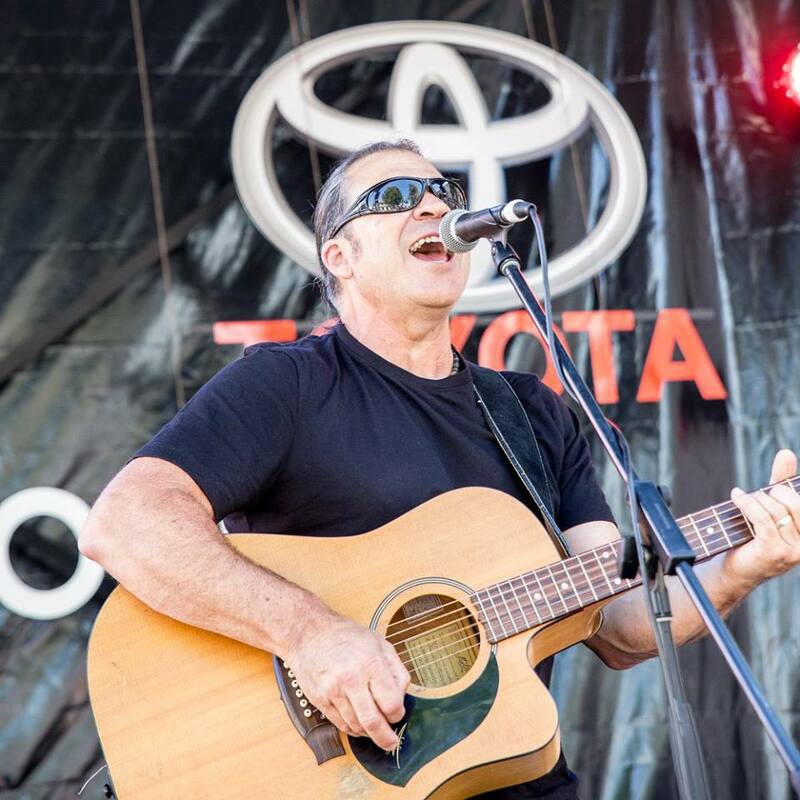 I’m looking forward to playing some music to Easter Festival goers, at the 2017 Chinese festival, along side my good friends Jeff Gibson, Brendan Nawrocki, Rachel Webster & Matt Thomson aka ‘Born In October’ . 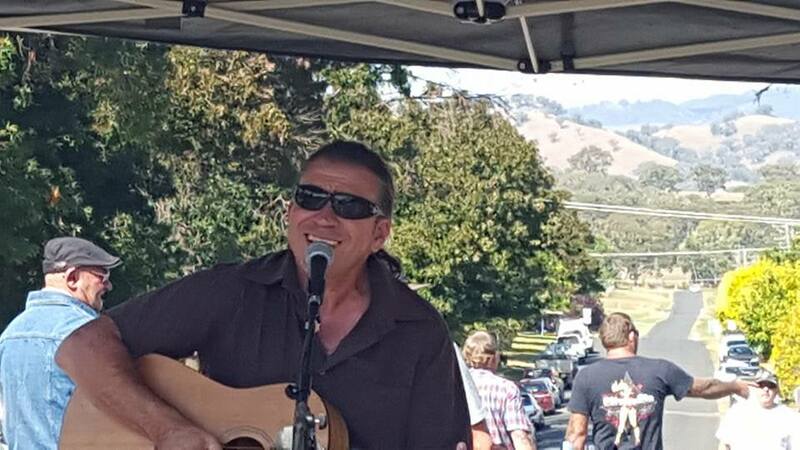 In 2017 the Nundle Go For Gold Chinese Easter Festival will be held on Easter Saturday and Sunday, April 15th & 16th. 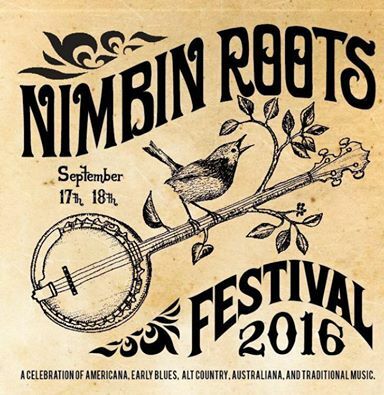 Be part of the second largest annual festival in northern inland NSW attracting 16,000 people over two days. The annual festival honours the significant role of Chinese and European miners and storekeepers in the development of the Nundle and Hanging Rock townships. The Festival includes striking lion and dragon dances twice daily by the Australian Yau Kung Mu Association, traditional Chinese dance by the Multicultural Communities Council of NSW, panning for Nundle gold worth $1000, including four nuggets, live music by The Sax Summit, David Wei and Eva Timms, Jeff Gibson, John Krsulja, Brendan Nawrocki, Rachel Webster & Matt Thomson aka ‘Born In October’ and nearly 100 food, produce, craft and bric-a-brac market stalls, antique toy display, magician, Library on the Lawn and Chinese-themed craft (Saturday only), Woolomin Public School P&C animal nursery, jumping castle and face painting. Wednesday 15th March 2017 - NEW Single & Music Video Released "Billy"
A big Thank You to Lyn Taylor Photography for bringing my New Music Video Clip, “Billy” to life. This is the first song I ever wrote back in 1992, and with Karl Broadie’s production & encouragement, “Billy” made it to a recorded piece of work. 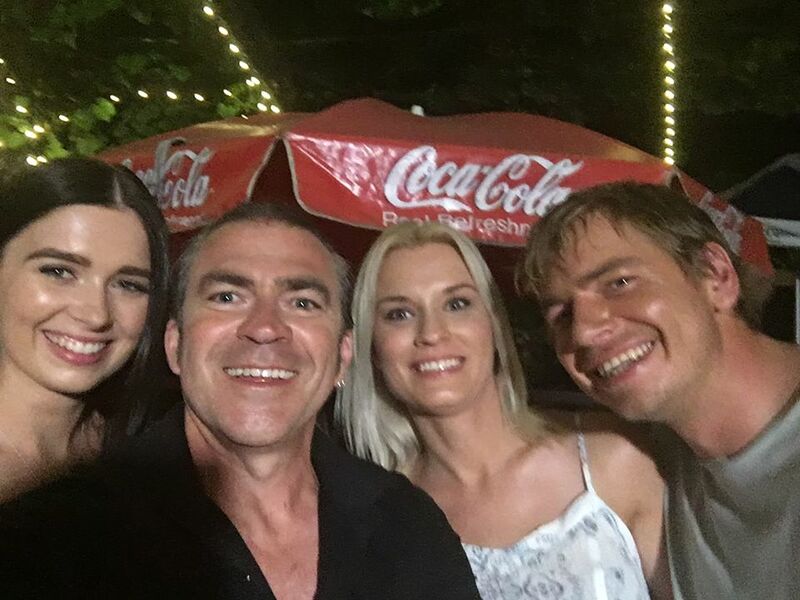 Thank you to Tarmo Mumma & Lea Kaju for starring, Hayley Wilson, Tony Kennelly, Brendan Nawrocki and all at The Peel Inn for sharing their time. Had a great time playing some tunes and opening for my old mate Luke O’Shea and good mate Jason Kearney. It was a night of awesomeness and great to catch up with family, old and new friends. 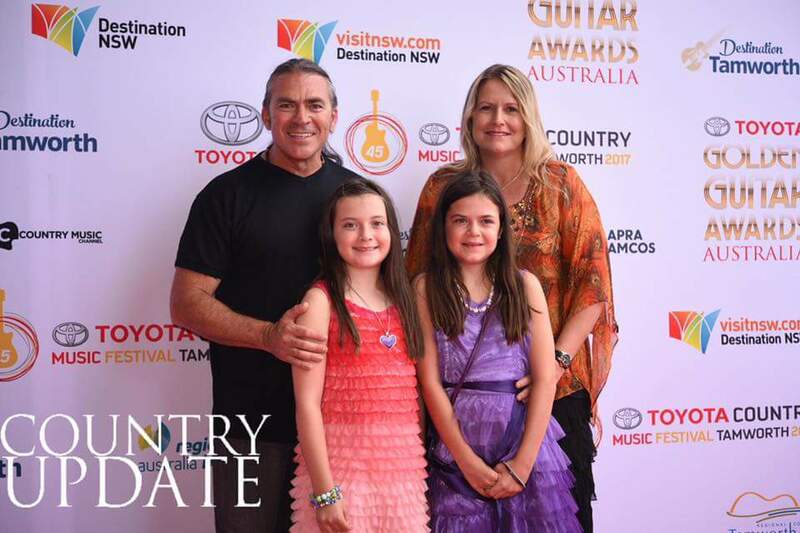 Friday 20th - Sunday 29th January 2017 "Tamworth Country Music Festival"
WOW!, What a Festival. 2017 Tamworth Country Music festival was, without a doubt the best for me 🙂 I got to perform and hang out with so many artists that I now can call friends and make new friends along the way. Country Music to me is about spending time & catching up with friends, having a drink or two, listening to new songs & stories from our friends, celebrating songs, music from lost family and friends, new lives lived and so much more… It’s a beautiful thing. Thanks to wife Belinda, my kids Brooke & Jade, my brothers from another mothers, Richo Richardson, Jason Kearney, Kelly Cork , Lee Caller, Rachel Caller, Brendan Nawrocki, Kick Missen, The DAG staff, Craig Power from the Pub, Jodie & Jon for the Town Hall, and all those that came and went and left their memories with me. 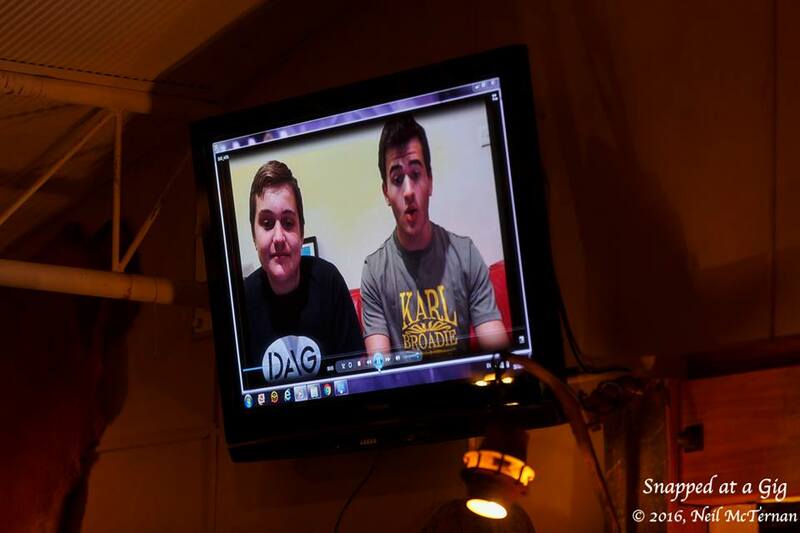 Had a great time filming some NEW Music Video Clips over the weekend. 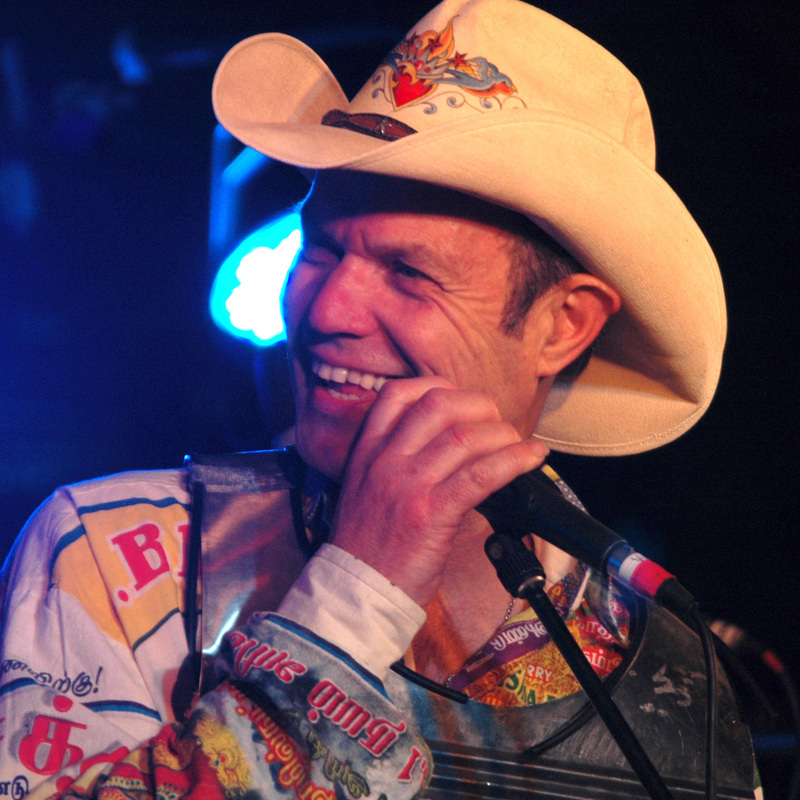 The first to be released is ‘Billy’ on Wednesday 15th March. 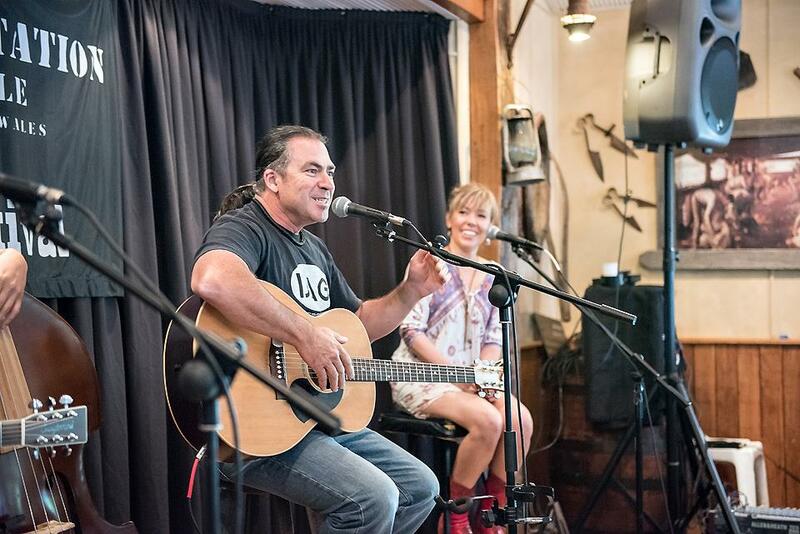 We filmed ‘Billy’ at The Peel inn and featured local residents and starred Tarmo Mumma & Lea Kaju. 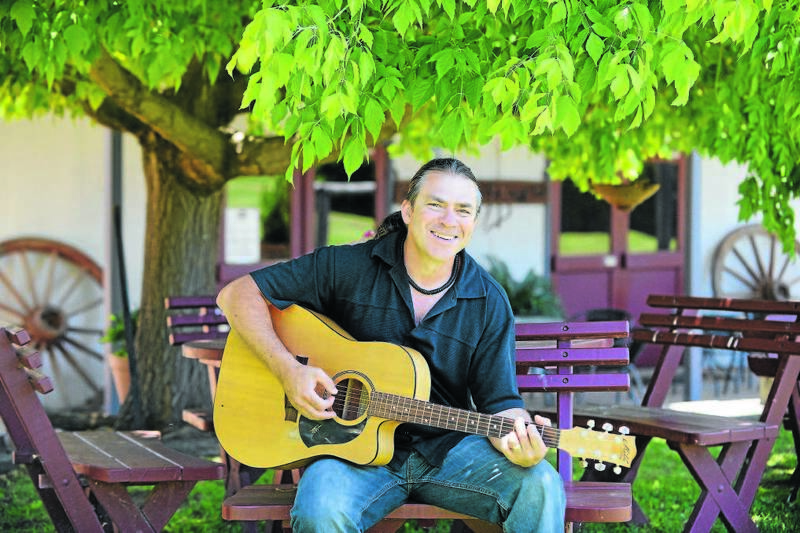 The clip also features Hayley Wilson, Tony Kennelly, Brendan Nawrocki and Nundle locals. The song was produced by the late Karl Broadie, who also features on BV’s and helped write the chorus from a song written in 1992. The clip was Filmed and edited by Lyn Taylor Photography who did an amazing job. 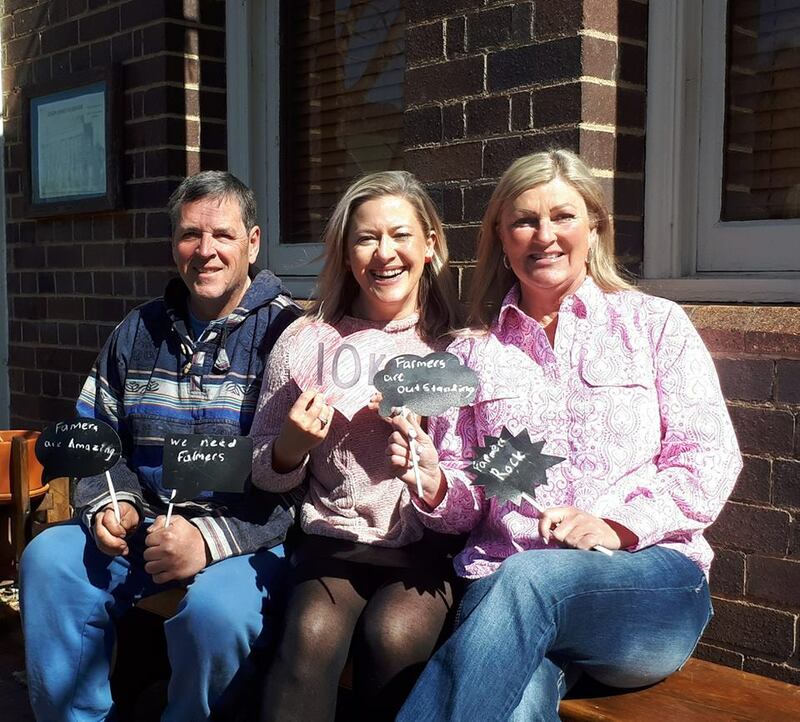 The first Heat for Passport For Airlie was held at The Albert Hotel, congratulations to my good friend Allison Forbes for taking out our Heat. 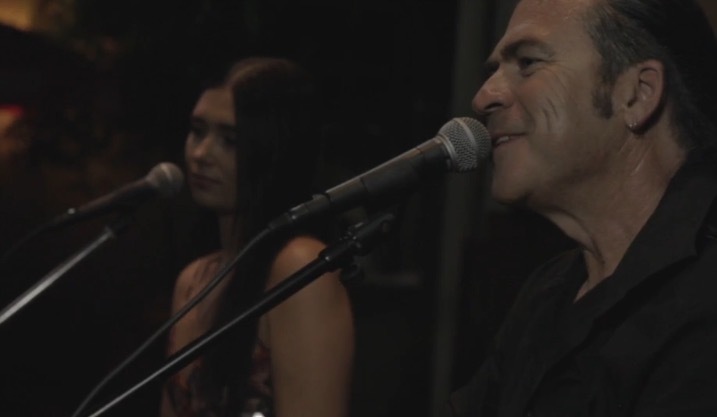 I had a great time performing a Set for my family & friends, old and new. We celebrated Hats Off To Country Festival in Tamworth from July 7th – 12th also The DAG Sheep Station hosted it’s 4th Annual Singer Songwriters Retreat and featured a special Showcase & BBQ on Sunday afternoon from 5pm. 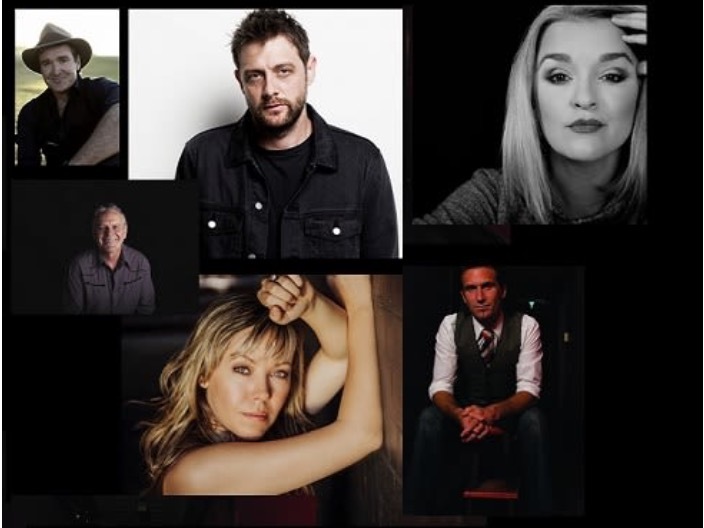 This special Showcase featured all the artists and their Tutors, including Luke O’Shea, Aleyce Simmonds, Jeremy Edwards, Kevin Bennett, Felicity Urquhart & Lyn Bowtell. It was an emotional few days, always so many special moments and memories. 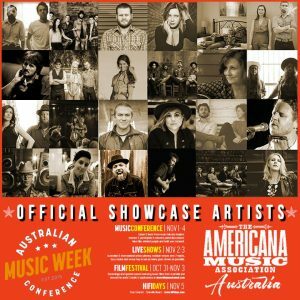 I am so proud to be a part of this music magic. I had a great time performing on the streets to the many, many visitors who come to Nundle for this great annual Festival. The Nundle, Go For Gold Chinese Easter Festival is the second largest annual festival in northern inland NSW attracting 16,000 people over two days. The annual festival honours the significant role of Chinese and European miners and storekeepers in the development of the Nundle and Hanging Rock townships. 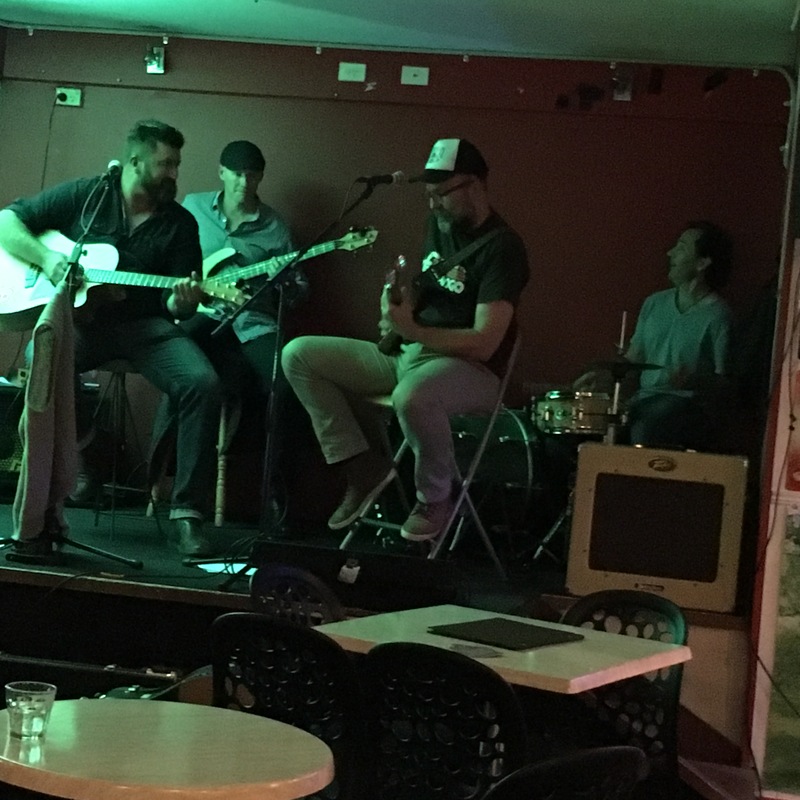 There was also plenty of live music by The Sax Summit, David Wei and Eva Timms, Lou Bradley, Jeff Gibson & Brendan Nawrocki. 2016 Tamworth Country Music Festival was definitely a highlight for me as a performer. 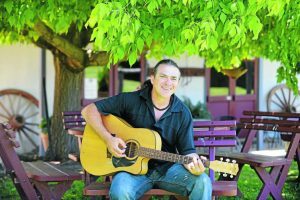 Fanzone, Town Hall, The Courthouse, Songwriters Retreat Showcase, Friends Of DAG Showcase, Australia Day, Calvalcade, House Shows @ Fossickers Tourist Park, Festival FM Live Performance, and a guest on ABC Saturday Night Country Live. 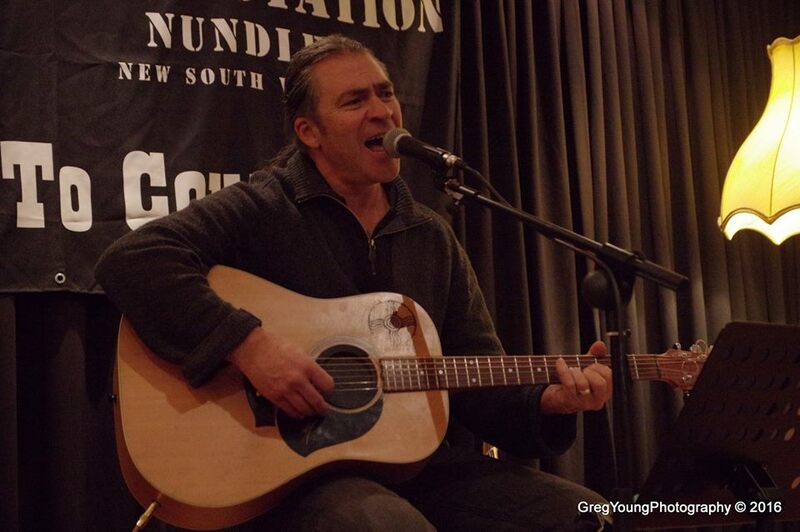 I would like to thank family, friends and all the guests who helped celebrate my Debut Album Launch of Travellin’. 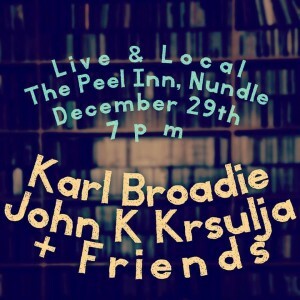 The Album was produced by Karl Broadie, and the launch featured guests from my Album and friends including Karl Broadie, Katie Brianna, Hayley Wilson, Jeff Gibson, Aleyce Simmonds, Luke O’Shea and an intimate band, Ronnie Rindo, Leigh Ivin & Paul Owen s.
Live & Local was a great show at the beautiful beer garden of The Peel Inn, Nundle. 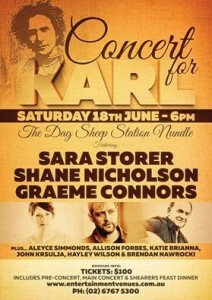 The show was to welcome Karl Broadie and Rachel Webster to Nundle. 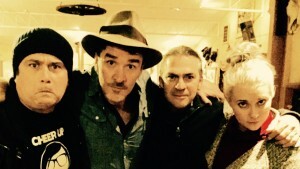 Karl and I were joined by friends, local Jeff Gibson, Brendan Nawrocki and Rachel Webster. 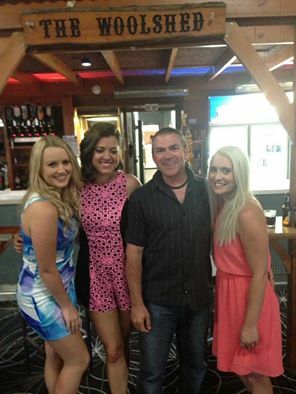 A great night out for all and one I know now, I will never forget.